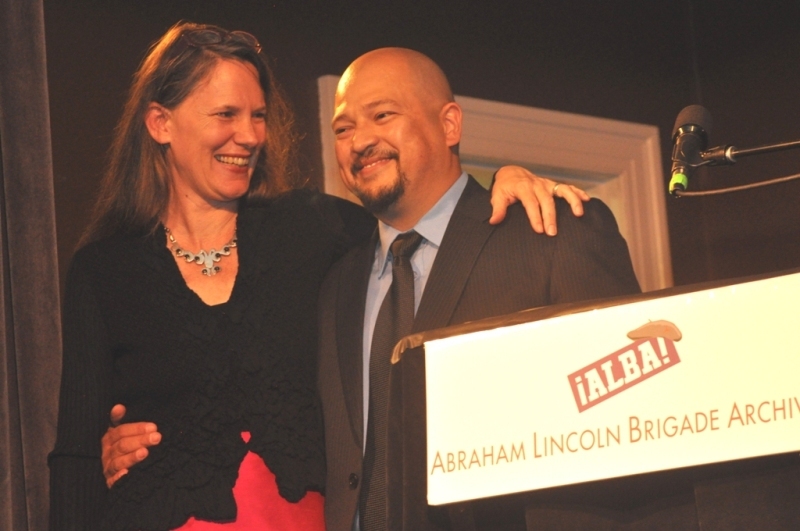 On Sunday, May 13, 2012, National Security Archive senior analyst and director of the Evidence Project, Kate Doyle, was awarded the 2012 ALBA/Puffin Award for Human Rights Activism along with Fredy Peccerelli of the Guatemalan Forensic Anthropology Foundation (FAFG). The ceremony took place at the Museum of the City of New York. “L. Mullins: Latin America is engaged in a debate about whether or not it makes sense to look back let alone uncover the bones themselves. How do you see that argument? Because there is an argument that says, look, let the past remain in the past. Check out this interview with Marina Garde, executive director of the Abraham Lincoln Brigade Archives (ALBA), explaining the award, and why Kate and Fredy were chosen. See more photographs of the awards ceremony taken by Len Tsou, here.